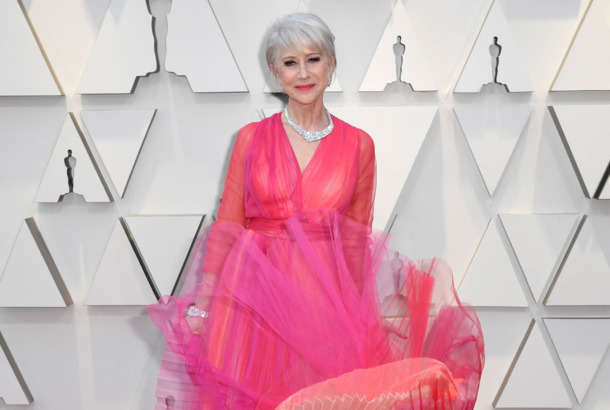 See Every Red-Carpet Look From the 2019 Golden GlobesSandra Oh, Alison Brie, Lady Gaga, and more. Ezra Miller Is the Most Fantastic Beast of All at Crimes of Grindelwald PremiereKilling these red carpet looks. Emily Heller’s Getty Images Bag Wins Emmy for Best Spon-ConSuck it, Shutterstock! 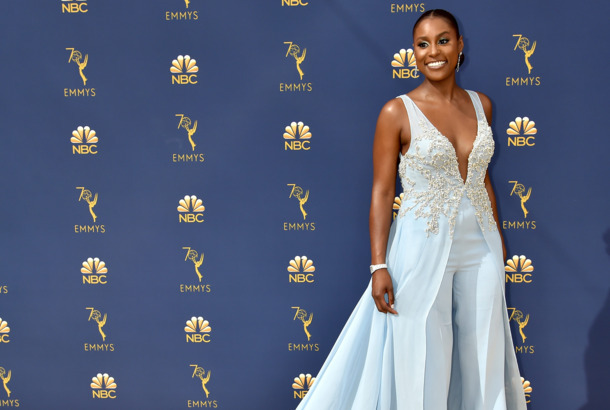 See Every Red-Carpet Look From the 2018 EmmysIssa Rae, Rachel Brosnahan, Tiffany Haddish, Kristen Bell, and many more. Nico Tortorella Does So Much at the VMAs, There’s None Left for the Rest of UsThe Younger star wore what appears to be the new U.S. Bill of Rights on the back of their MTV red carpet look. 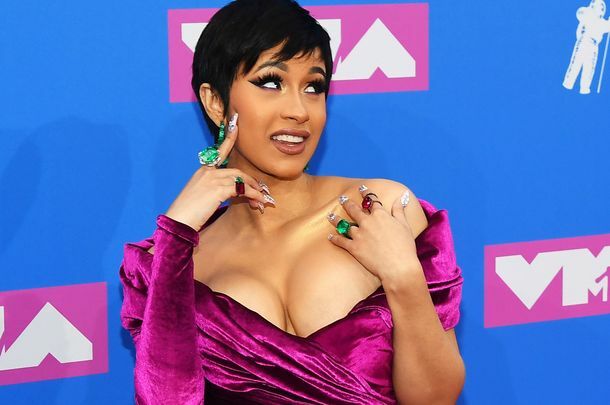 See All the MTV VMA 2018 Red-Carpet LooksCardi B, Jennifer Lopez, Ariana Grande, Camila Cabello, and more. The Messy E! 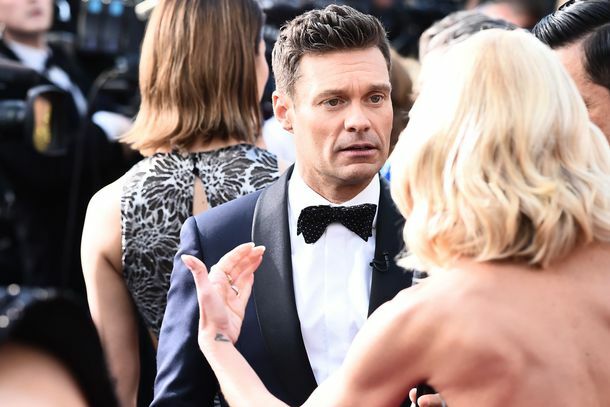 Oscar Pre-Show Proved That Red-Carpet Coverage Needs to Be RevampedKeeping Ryan Seacrest on E! was a bad move. 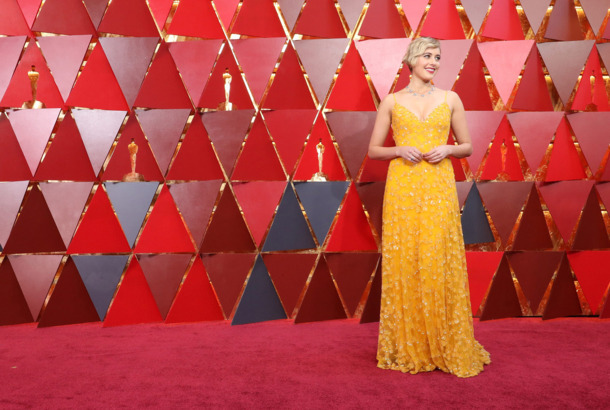 See All the Red-Carpet Looks From the 2018 OscarsAllison Williams, Adam Rippon, and more flashy celebrity fashion at Hollywood’s most glamorous evening of the year. Ryan Seacrest Will Still Host E!’s Oscars Red Carpet Amid Misconduct AllegationsE! and ABC are reportedly standing by him despite new details of sexual-assault allegations. See All the Red-Carpet Looks From the 2018 Grammy AwardsGlitzy celebrity fashion meets white-rose activism. 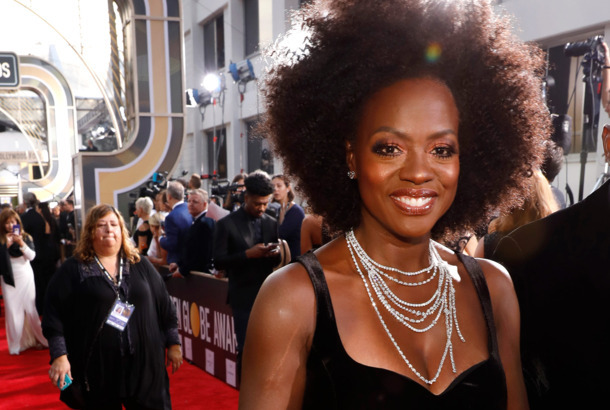 The Golden Globes Red-Carpet Coverage Changes, But Only a LittleThe preshows on E! and NBC were more serious than usual, and just as awkward as ever. 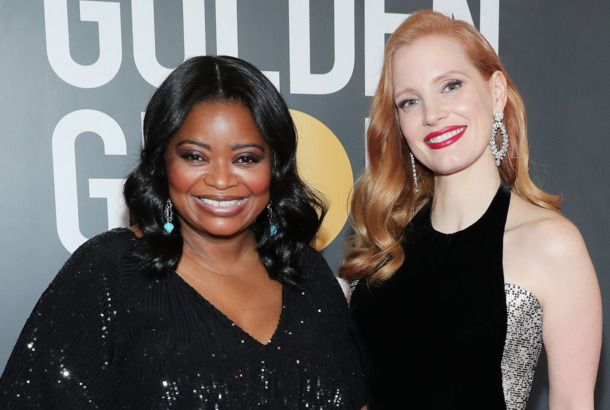 See All of the Red-Carpet Looks From the 2018 Golden GlobesAwards season is back — in black. A Life on the Red Carpet: Remembering Jeffrey SlonimWe miss our friend. See Every Red-Carpet Look From the 2016 EmmysPretty clothes for everyone! See All the MTV VMA 2016 Red-Carpet LooksFrom who? to what? and everything in between. The Fug Girls Live-Blog the 2013 Oscar Red CarpetDuck and cover, Hollywood! See Every Look From the American Music AwardsFrom Christina to Ke$ha to Nicki to Biebs and everyone in between. See All the Red Carpet Looks at the 2012 Emmy Awards Check out the hits and misses in tonight’s slideshow, which we’ll be updating throughout the evening. See All the Looks at the MTV Movie Awards Red CarpetShailene Woodley’s near wardrobe malfunction, Emma Stone looking predictably adorable, and a blonde Leighton Meester. The Best Looks From the Billboard Music AwardsMiley Cyrus’s plunging neckline, Carrie Underwood’s Cinderella gown, and Katy Perry’s purple hair (and dress!). The Fug Girls Track the Fashion Evolution of Mad Men Daughter Kiernan ShipkaYou’re getting served by an elementary-school girl, Hollywood. How does it feel? Like burning? The Fug Girls Live-Blog the 2012 Oscar Red CarpetDuck and cover, Hollywood! 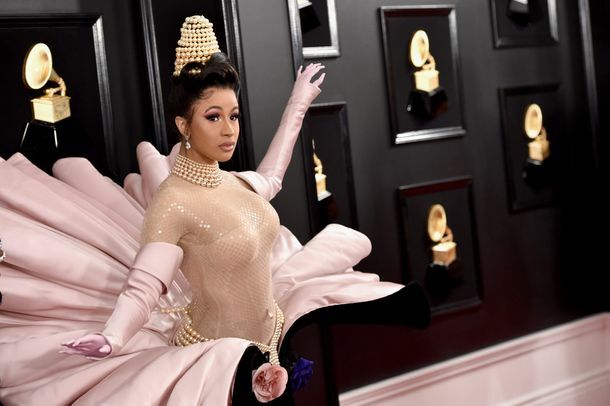 See All the Red-Carpet Looks From the Grammy AwardsA Catholic bishop, see-through red lace, and floor-length sequined gowns all in one place. It must be the Grammys. See All the Red-Carpet Looks From the 2012 Golden GlobesEvery celebrity who set foot on that reddest of carpets. The Fug Girls Live-Blog the 2012 Golden Globes Red CarpetEvery outfit, critiqued in real time! See All the Red-Carpet Looks From the 2012 People’s Choice AwardsCheck out the stylings of Lea Michele, Neil Patrick Harris, Chloë Moretz, and more. See All the Red-Carpet Looks at the 39th Annual American Music AwardsTaylor Swift takes home the top honor at the awards show last night. See All the Red-Carpet Looks From Last Night’s Billboard Music AwardsBeyoncé! Rihanna! Ke$ha! The Fug Girls Live Blog the Emmy Red CarpetJudge the outfits vicariously through the Fug Girls!